EUConsult’s Vision. Our vision is of a strong, independent European-wide not-for-profit sector served by ethical, professional and competent consultants and advisors. EUConsult’s Mission. 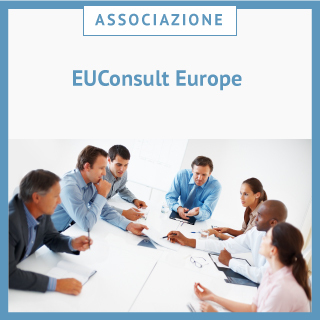 The mission of EUConsult is to provide a forum for consultants to the not-for-profit sector, encouraging and stimulating ethical and professional behavior, collaboration, and developing the technical and business skills of its members. The Origins of EUConsult. In 1982, fundraising consultant Thom Harris (Harris & Company), who then was based in Amsterdam, identified the need for a code of ethics which, in particular, would prohibit fundraising on a percentage or contingency basis. Over a period of time others joined him and meetings took place in Amsterdam, Paris and Prague, where the terms of reference for a membership organisation for consultants working for non-profits were eventually devised. In 1991, Thom Harris, Rupert Graf Strachwitz (Maecenata Management), Antoine Vaccaro (Excel) and Job van Dooren (Van Dooren Advies) formally set up EUCONSULT. The organisation was established on 18 October 1991 under Dutch law. Shortly afterwards they were joined by John Kelly (Brakeley Europe). For the first few years, membership remained small, while the definite wording of EUCONSULT’s mission and code of ethics were being worked on. Membership was then and still is for firms and sole traders whose principal business is in and about non-profits, and was not aimed at sub-divisions of very large consultancy firms. While in the early years the majority of members were fundraising consultants, membership since has broadened so that the wide range of consultancy services needed by non-profits is well represented, providing a rich resource. Subsequently the name became EUConsult (The European Association of Consultants to and about Not-For-Profit Organisations). Rupert Strachwitz and John Kelly remain active members of EUConsult making a valuable contribution to the work of the organisation, which celebrates its 25th anniversary in 2016.